Professional mature lady with vast experience as an audio transcriber, worked in this profession since I was 17 years old. My work is of the highest standard and accuracy, experienced in transcribing all accents. My rate, £50 per hour of audio or video recording (if less than/more than one hour I will charge pro rata rate accordingly). You are guaranteed a high quality professional UK transcription service, and will receive a fully proofread transcript in a clearly laid out format, with the highest levels of accuracy and reliability. I always treat all work with the utmost confidentiality and professionalism, and will sign any confidentiality agreement where required. For peace of mind please take a look at my feedback section. I can transcribe one hour audio, professionally & confidentially. Clear audible audio quality, in digital audio or video format. Clear instructions regarding preference to font, layout etc. This was quite a difficult recording, because it was in a public place with background noise. Despite this Janice did an excellent, accurate transcription and formatted the Word file beautifully. Great job, thank you! Exactly what I needed, thanks Jan! The work was accurate and professionally done, but there were delays and waiting. Perfect transcript even with some very unusual words! Much appreciated; thanks. Janice has been great, reliable and accurate - Thank you Jan! Again, great attention to detail. Thanks! Intuitive, professional and detailed quality of work. Will be using again! Thanks. £12.50 per hour worked/ £50 per audio hour. A full hour's audio takes 4 to 5 hours to complete. 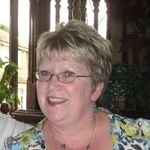 Over 37 years admin/secretarial experience. I offer a wide range of admin/secretarial...Read more£12.50 per hour worked/ £50 per audio hour. A full hour's audio takes 4 to 5 hours to complete. Over 37 years admin/secretarial experience. I offer a wide range of admin/secretarial services on a remote freelance basis. I value trusted relationships with my clients, many of whom I have the pleasure of working with repeatedly. Previously employed as a Medical Secretary I now work freelance. My work as a Medical Secretary consisted of typing from audio; highly confidential medical correspondence, indepth patient assessments & reports. I supported a Consultant Forensic Psychiatrist. I also spent 21 years in the Finance/IFA/Banking sector as a Financial Advisers Assistant. An excellent communicator at all levels, using confidentiality at all times. Proficient in computer skills, and have a friendly manner and loyal and supportive nature. My specialities are audio typing/transcribing, copy typing all types of documents and correspondence, data input, etc. Based in Cheshire but can make contact with people further afield. I welcome invites from individuals and companies looking for a competative & reliable freelancer. Thank you, and best wishes.